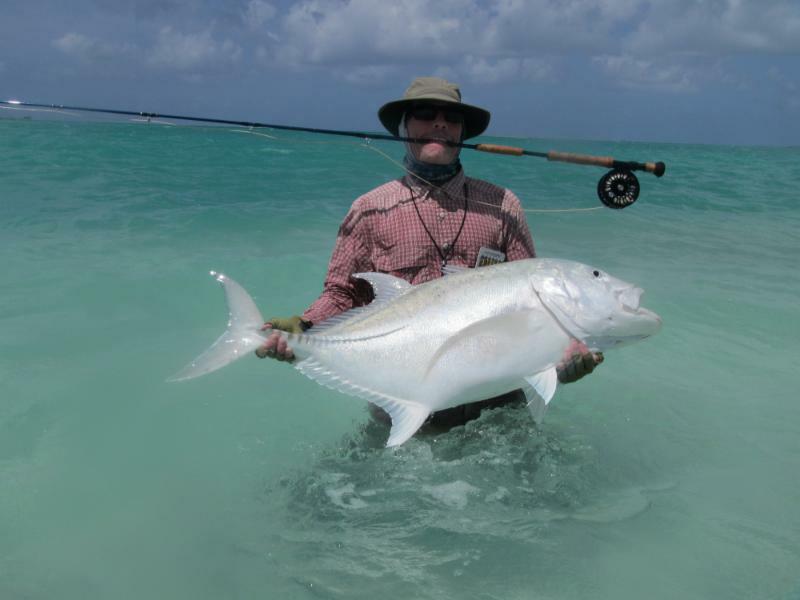 Farquhar’s reasonable size, varied flats, coral-strewn lagoon and prolific blue-water fishery makes it one of the world’s best multi-species destinations. Anglers enjoy a small, simple lodge that makes it the perfect island fish camp. Long known to only the inner circle of adventuresome saltwater anglers, Farquhar was one of the earliest outer islands to be discovered. 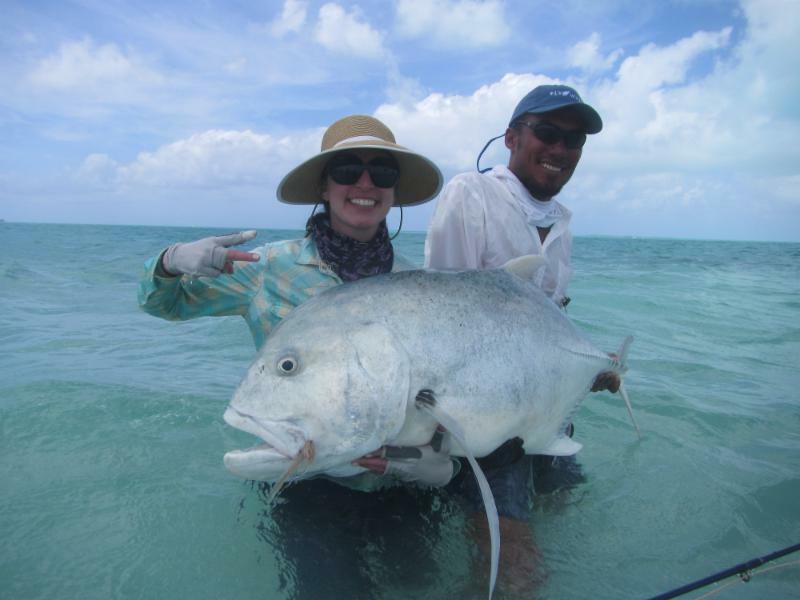 Its reasonable size, varied flats, coral-strewn lagoon and prolific blue water fishery make it one of the world’s best multispecies destinations. In the past it was only accessed by mothership but today anglers enjoy a small, simple lodge that makes it the perfect island fish camp and one of the best values in the Seychelles. Farquhar Atoll is the most southerly atoll in the Seychelles chain of islands lying just over 450 miles southwest of Mahe. This remote atoll has a total area of approximately 10 x 6 miles. The main group of islands form a long curve on the eastern side of the atoll. Largest of these are Isle du Nord and Ile du Sud, with the smaller Manaha gaps islands between them. 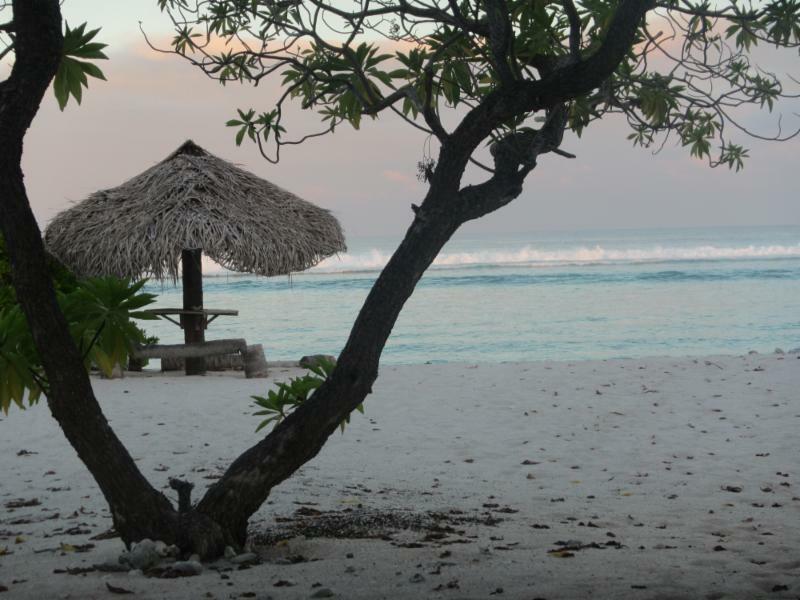 Further south is Goelette and to the open western side of the atoll lies the small group known as Trois Îles. The large ear-shaped lagoon provides easy access to a wide range of flats, channels and surf zones. This diversity of terrain creates perfect habitat for bonefish, various trevally species including trophy sized giant trevally, Indo-Pacific permit, triggerfish, barracuda bumphead parrotfish and milkfish. In addition to the flats Farquhar is also blessed with a very accessible blue water fishery. Most often guests head for the blue water when high tides make the flats difficult to wade. Here you can encounter giant trevally, barracuda, wahoo, yellowfin tuna, dogtooth tuna, grouper, bohar snapper and sailfish. Anglers fish two per boat and guide. The majority of fishing is done while wading but depending on the tides, anglers can spend from 2-3 hours per day fishing from the boat. Boat fishing is typically in the blue water or drifting over vast fields of coral heads in the lagoon in what the guides call "bommie bashing". This is drifting over coral heads with both anglers blind casting 12wts with bait fish patterns is search of GT's, bluefin's, snapper, barracuda and a variety of other species. 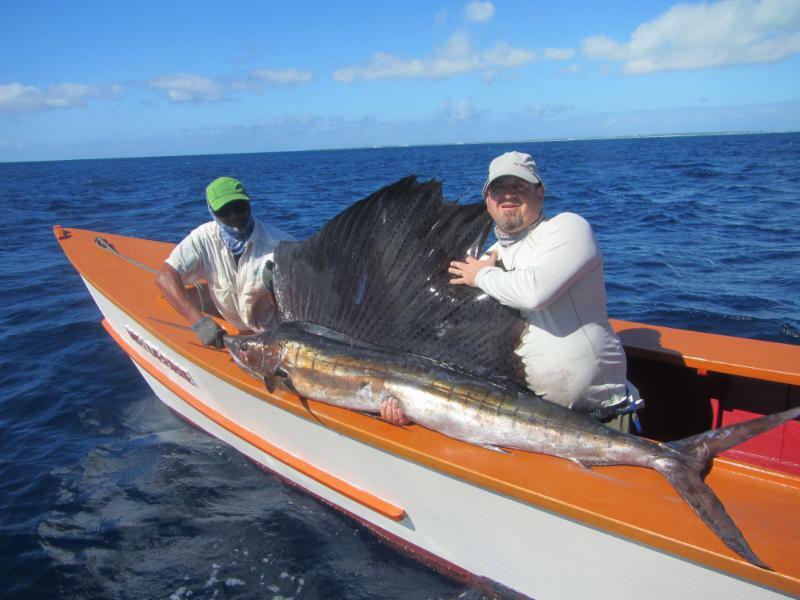 Each Fly Castaway guide is a qualified skipper, has first aid experience and is extremely experienced with regards to all facets of fly fishing the remote saltwater destinations of the Indian Ocean. Their passion and dedication is infectious and they routinely go the extra mile working to guide anglers into a fish of a lifetime. Accommodations and Meals: Farquhar’s lodge is a basic but comfortable guesthouse that can accommodate 10 anglers per week. The main lodge is fully air-conditioned and has five twin bedrooms and a central lounge. The lodge is equipped with 24-hour 220-volt electricity, air-conditioning and has a constant supply of hot water. There is full housekeeping as well as a daily laundry service available. Meals are served in a covered dining area overlooking the water with a magnificent view. All meals are served at the outside dining area with the chef preparing a mix of Creole and international food. The lodge has plenty of local beer for sale. Guests may also bring their own hard alcohol and or wine. Day 4: Charter flight from Mahe to Farquhar. If time permits you will be able to fish some of the nearby flats. 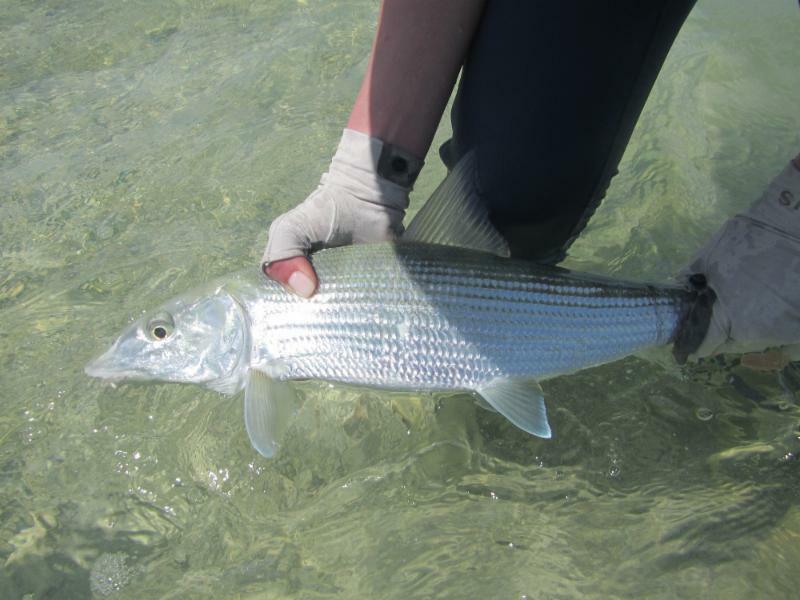 Day 50-10: Six days of guided fishing on the flats of the Farquhar. Day 11: Charter flight from Farquhar to Mahe. Depart for home.